Hover over the image to read description of each camp! Register between now and April 1 and receive 10% off tuition for the camps listed below. The discount will be applied when we charge you for the camp. You will need: Comfortable clothes for moving, clean sneakers, long hair pulled back, bagged lunch, water bottle and a snack! 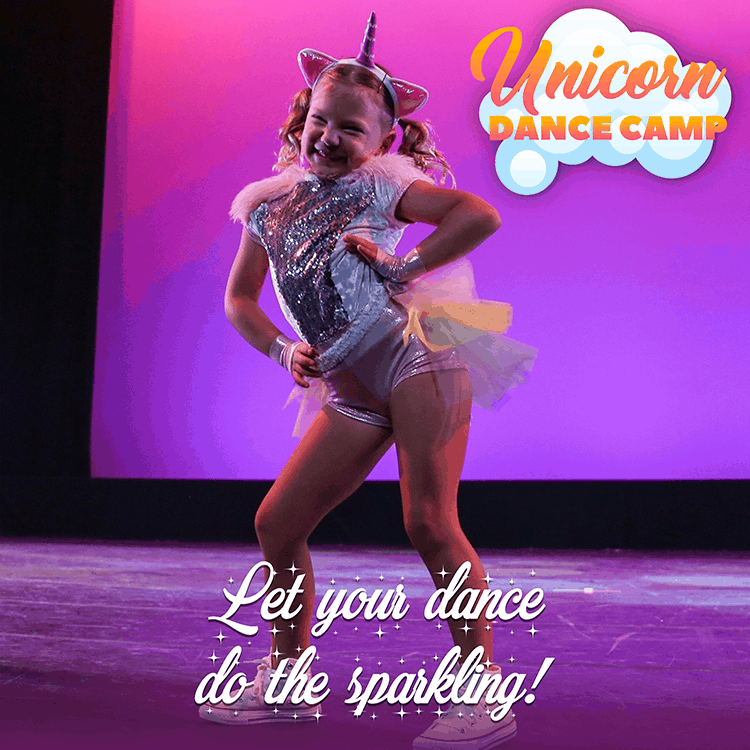 Description: All of your rainbow sparkle dreams are coming true… Unicorn Dance Camp is here! In this camp we will make a fun unicorn craft, play enchanted forest creative movement games and learn a magical unicorn hip hop dance to perform for families at the end of camp. Description: No job is too big, no pup is too small and no dance camp is too fun! 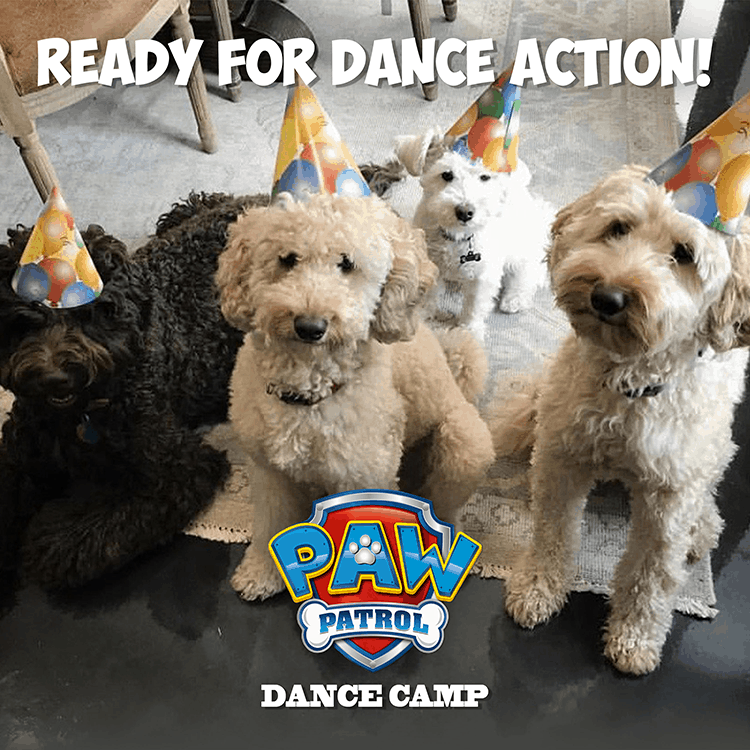 In this camp dancers will play rescue adventure dance games, make their own paw patrol badges and put on a hip hop dance show for friends and family at the end of camp. You will need: Leotard & tights or comfortable ballet clothes for moving, ballet shoes, hair in a bun, bagged lunch, water bottle and a snack! Description: This camp is sure to be a ﬁn-ﬂapping-salt-water-splashing good time! 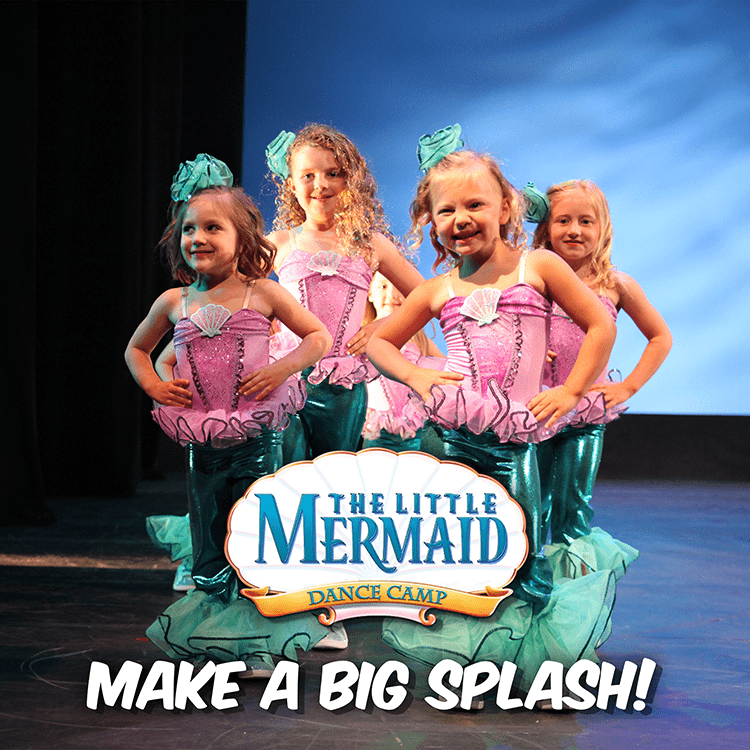 Dancers will make their own mermaid craft, play ocean bubble games and learn a dance inspired by the big blue sea to perform for friends and family at the end of camp. 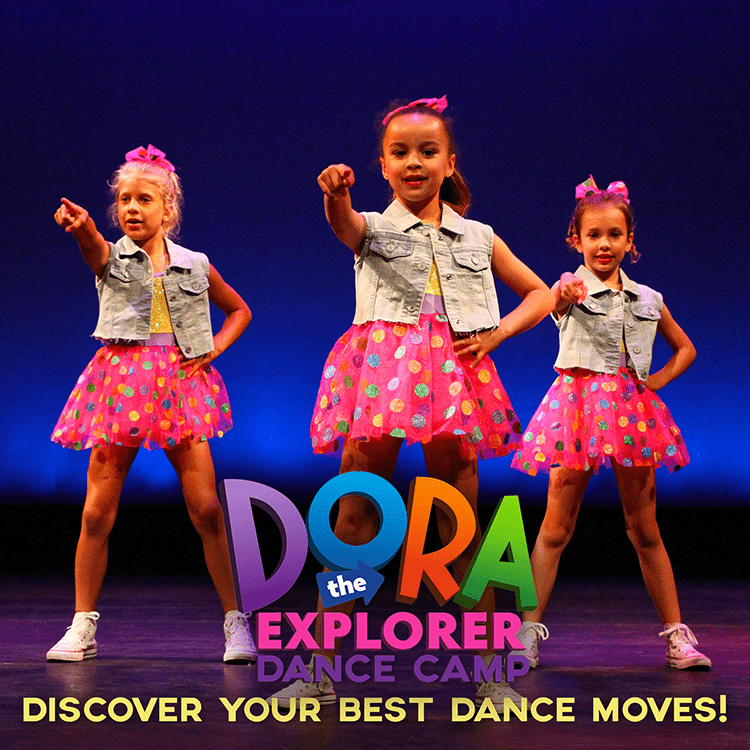 Description: This camp is for dancers who have a lot of energy, love hip hop music and are curious about dinosaurs. 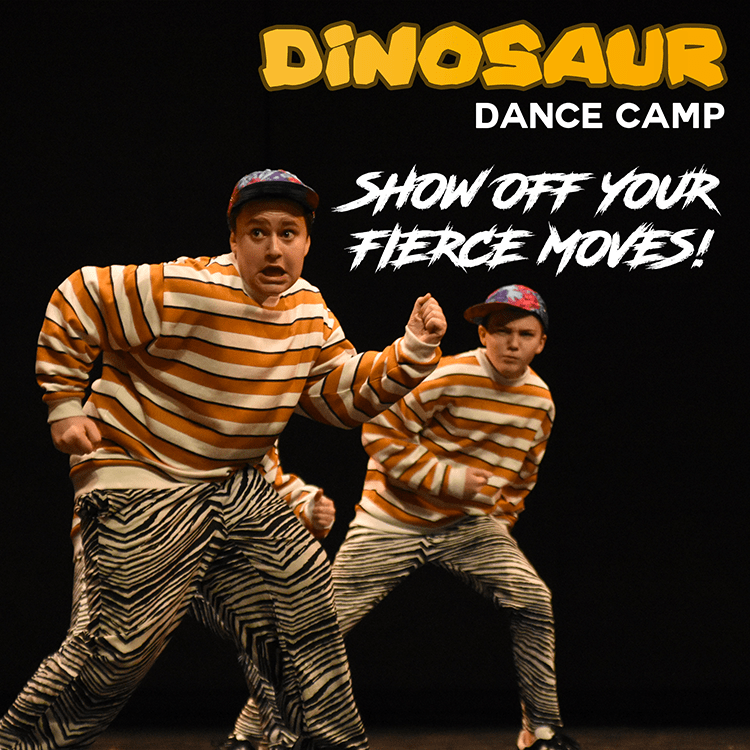 We will play dino games, decorate our own dinosaur model and learn a “prehistoric” hip hop dance to perform for friends and family at the end of camp. 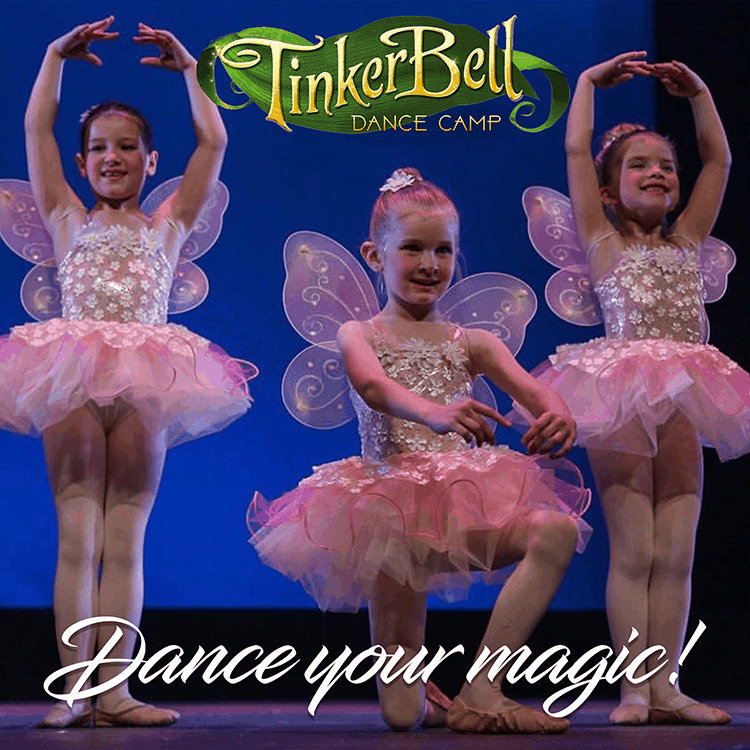 Description: All you need is faith, trust and a little pixie dust if you want to have a great time at Tinker Bell dance camp! In this camp dancers will explore graceful creative movement, make their own fairy wand and learn a beautiful ballet dance to perform for friends and family at the end of camp. 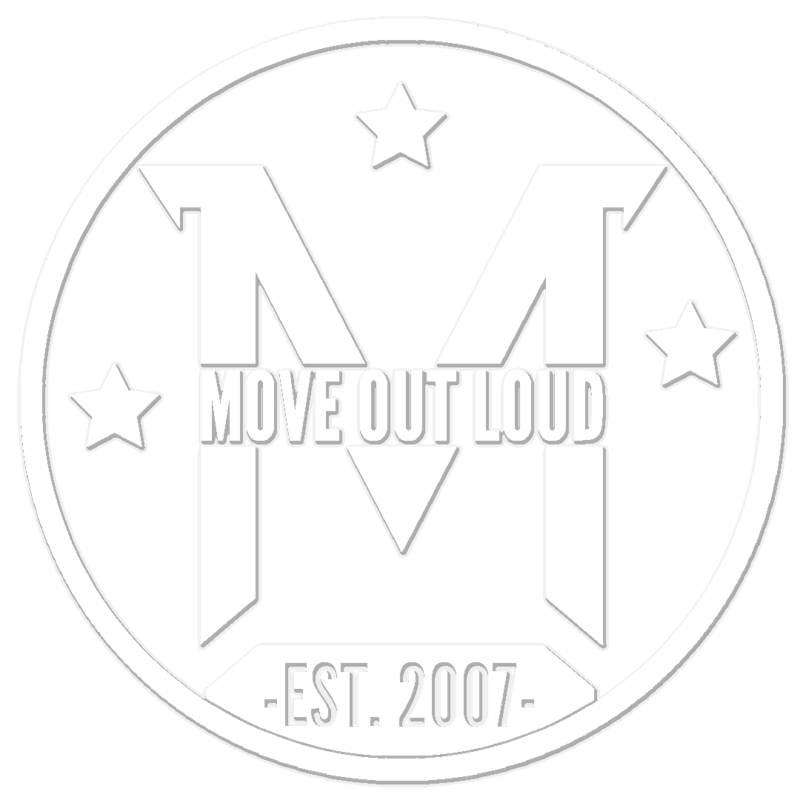 Description: The hip hop fun will never stop at Move Out Loud! 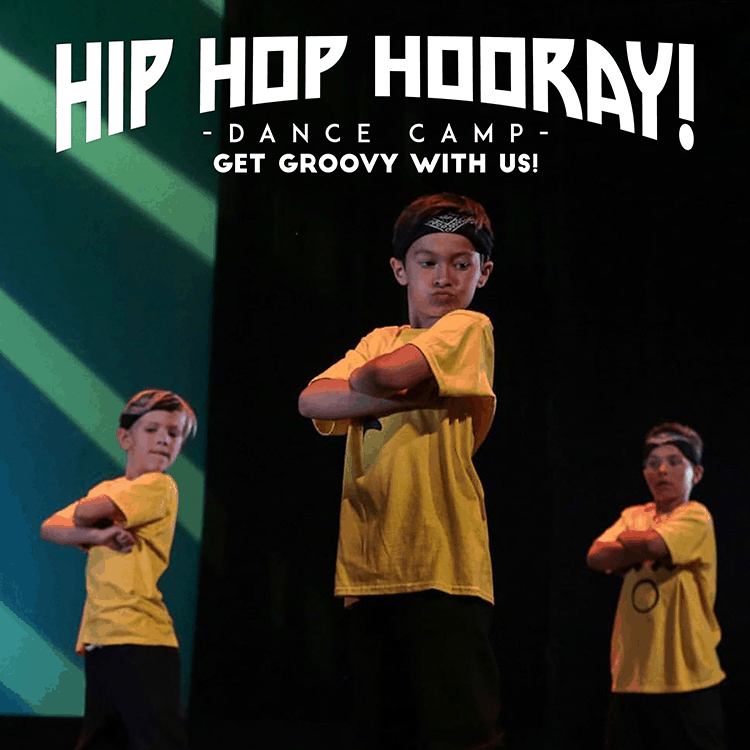 In this camp young dancers will learn the basics of hip hop grooves and old school moves, experiment with some break dancing and learn a fun dance to perform for friends and family at the end of camp. 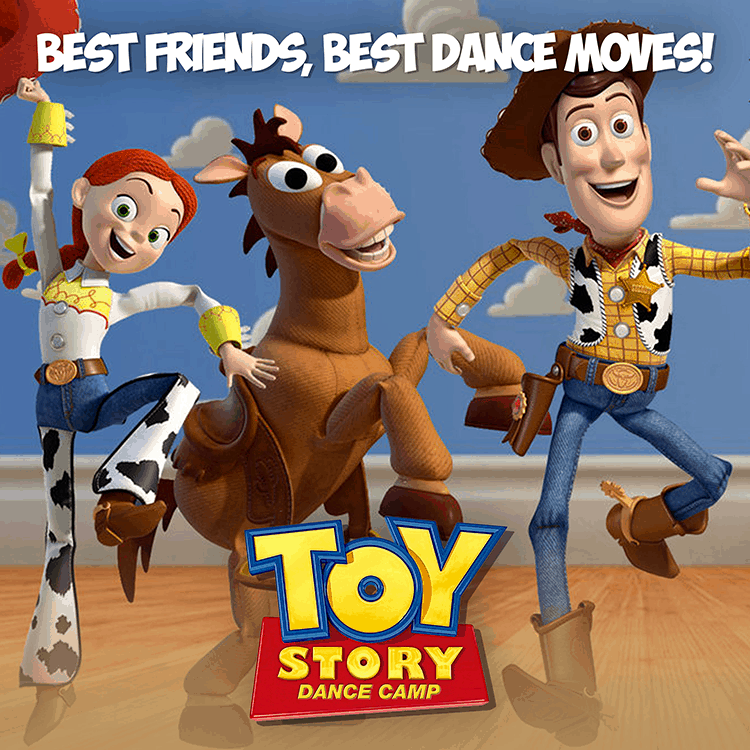 Description: Join Woody, Buzz and your other favorite toys in this creative dance camp inspired by the latest Toy Story movie. We will play dance games, make our own “forky” toy and put on a show for friends and family at the end of camp.